Film Stories issue 3: full details, and order your copy now! 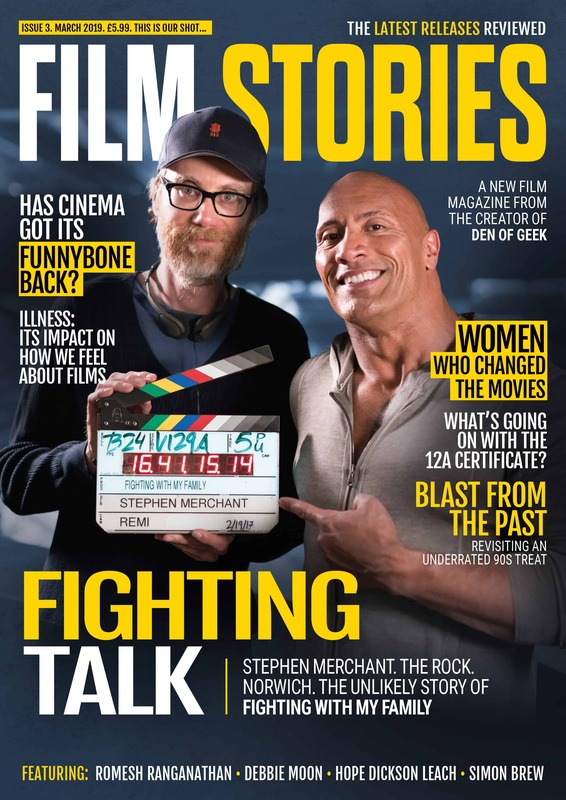 The new issue of Film Stories is currently being printed, and will be shipping from Monday 18th February. Pre-order now right here! Well, as promised, Film Stories is now a monthly film magazine and issue three is now with us! Given that issue two has now sold out (yikes! Thank you), we’ve upped the print order for issue three, but obviously that makes us terrified. We’re an independent publisher and every single sale really counts for us. Hopefully, then, we can tempt you into buying the new magazine. The unlikely story of how Tooth Fairy led to The Rock backing a film about a family from Norwich. One that ended up with Stephen Merchant, who knew nothing about wrestling, directing a wrestling match. The bizarre unofficial line in Nicolas Cage merchandise. Er, a bit odd, this one. The (nearly) forgotten films of Amblin. *batteries not included, anyone? Why is cinema such a sod to the town of Grimsby? Phew. We’ve tried to give you a fair amount there for your money. And heck, if we can tempt you to subscribe? Well, that’d be amazing. Discounts start from buying just three issues, and here’s another SUBTLE ORDER LINK that takes you direct to our subs page.